We all learned early yesterday morning that a true icon died. Carrie Fisher, aka Princess Leia in Star Wars, died on December 28th at the age of 60 after a severe heart attack on a Friday flight from London to Los Angeles. Princess Leia became such a pivotal character for us because tough, smart, and totally badass. But it was also the real Carrie Fisher and her hilariously real point of view on her life and struggles that we’re going to miss. 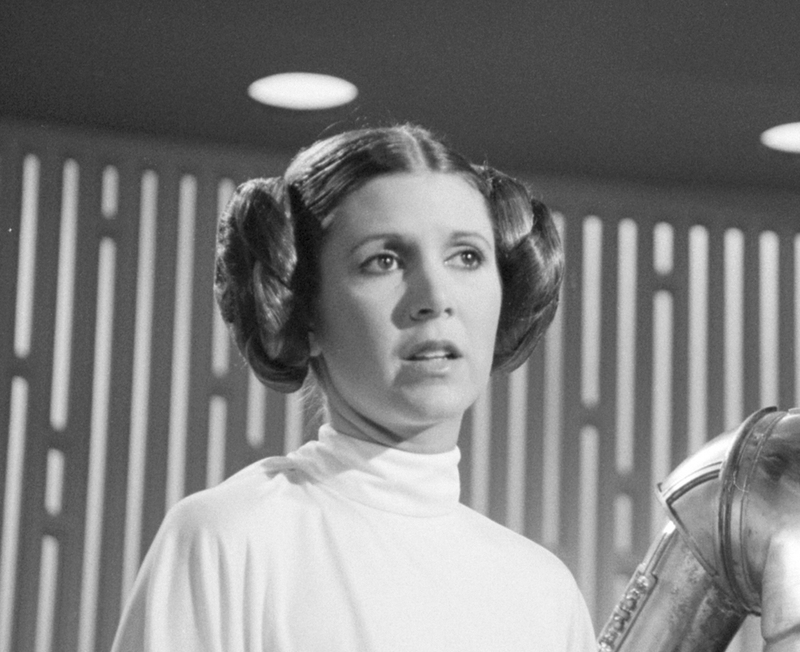 So here are some of the most inspiring ways that Carrie (and Princess Leia) empowered us and taught us to be badass princesses in our own right. 1When she stood up to one of the scariest villains imaginable, and taught us all to be brave. Princess Leia Organa was not a princess we were used to seeing (at least, not at the time Star Wars originally premiered). She was strong, outspoken, and brave. And she stood up to Darth Vader, one of the most imposing villains ever seen onscreen. She was already deep into the fight against the Empire in Star Wars before Luke or Han ever got involved. And nobody could’ve brought a fire to that character like Carrie Fisher did. 2When she saved the day…more than once, she made us realize we could save the day too. In Star Wars, we saw Princess Leia save multiple days. While trying to escape the Death Star in A New Hope above, she grabbed a blaster and took care of business. She sent them all down the garbage chute to *relative* safety. And later, in Return of the Jedi, Leia strangled the terrible Jabba the Hut with her own two hands. 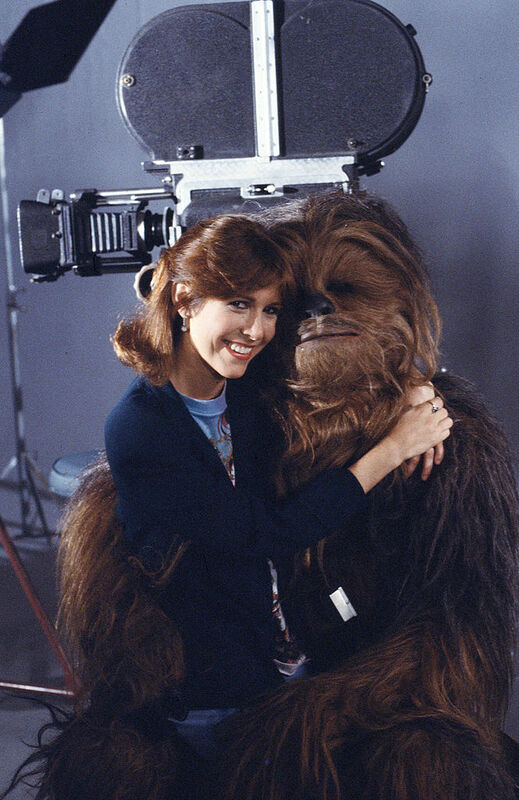 And throughout the films, she was just as involved as any of the others in saving the galaxy from the evil Empire. She definitely showed us that princesses can be just as heroic as anyone else. 3In The Force Awakens, when she showed us that a princess can become a general, so we’d never stop fighting. 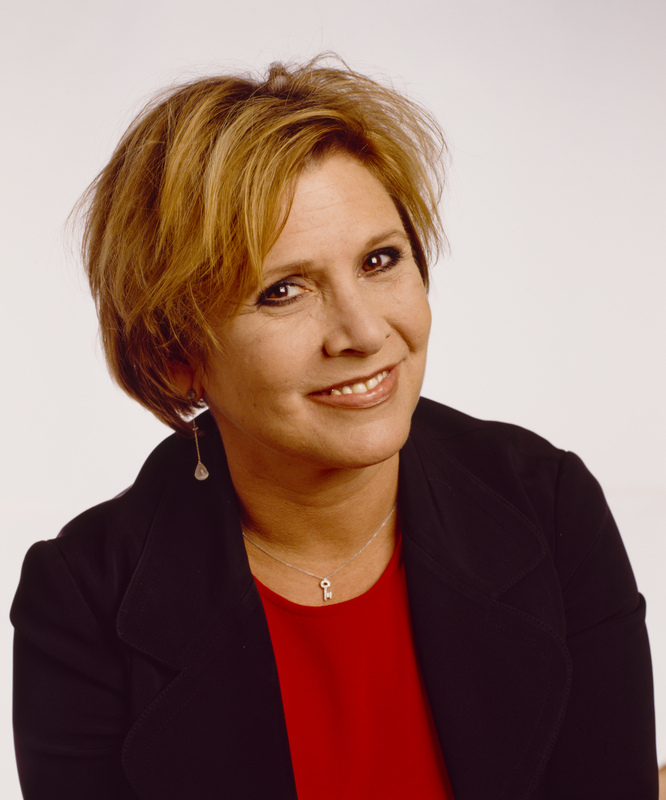 Of course when Star Wars was rebooted, Carrie Fisher wasn’t coming back as just a princess. 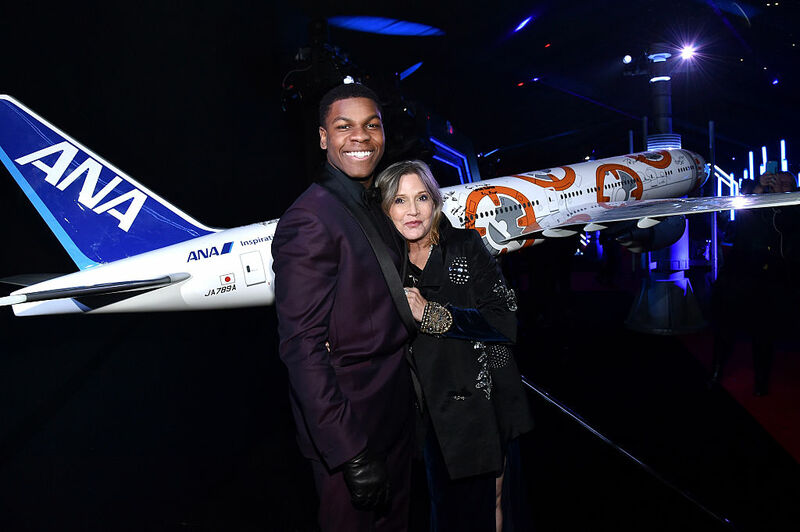 In the revival of the franchise, Leia is now General Organa. She holds real power and influence, which is just the kind of movie role model we need! 4When Carrie got SO real about aging. 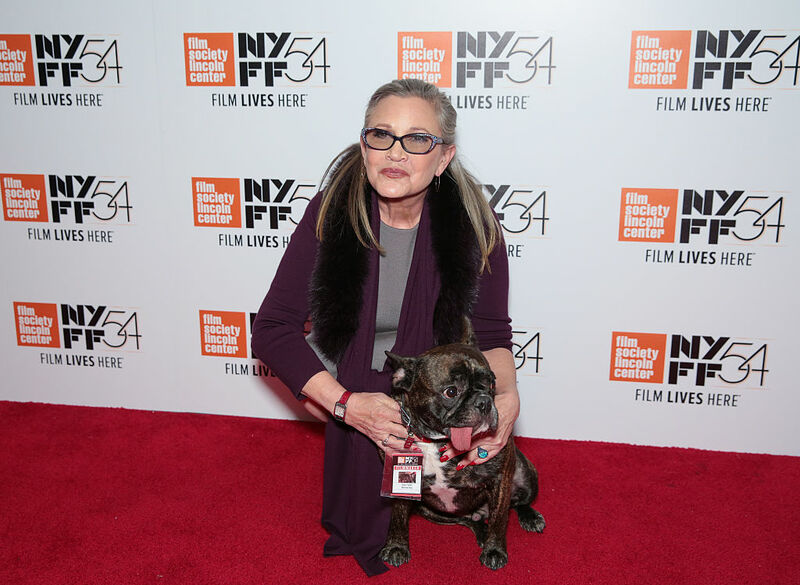 Carrie was majorly body-shamed when she reappeared in The Force Awakens. And we don’t get it — it’s totally normal that your body changes over the decades. That’s what bodies do! (Plus, we thought she looked fabulous.) Carrie responded to the cruel comments with total openness and honesty: She reminded us that “youth and beauty are not accomplishments,” and that we have WAY more important things to worry about. 5When she told us all that battling a mental illness is something to be proud of, because it means you’re fighting. Probably one of Carrie’s most amazing accomplishments was her openness about her bipolar disorder. 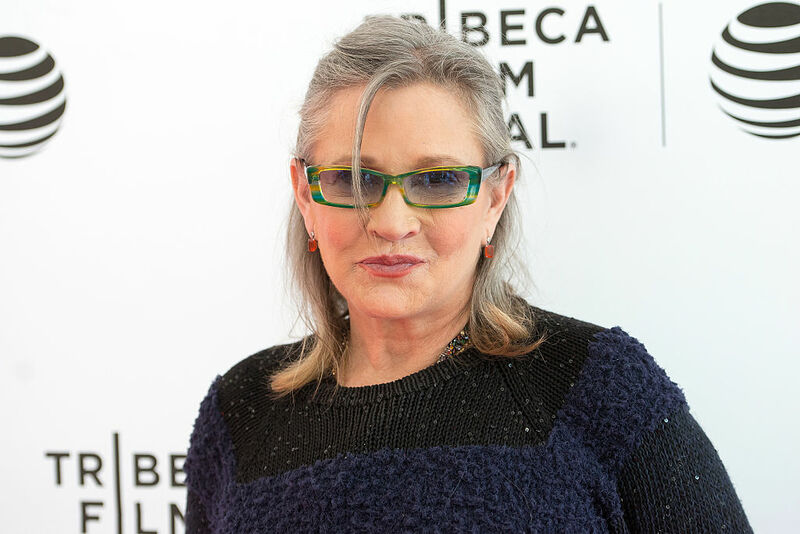 In one of her books, Wishful Drinking, Carrie talked about her struggles with mental health. She said, “Living with manic depression takes a tremendous amount of balls…it’s something to be proud of, not ashamed of.” That is SUCH an important sentiment, because too often, we feel embarrassed by mental health. But to be a badass princess like Carrie, we have to embrace it and fight it. 6When she showed a sense of humor about her life and struggles and made it okay to laugh at ourselves. 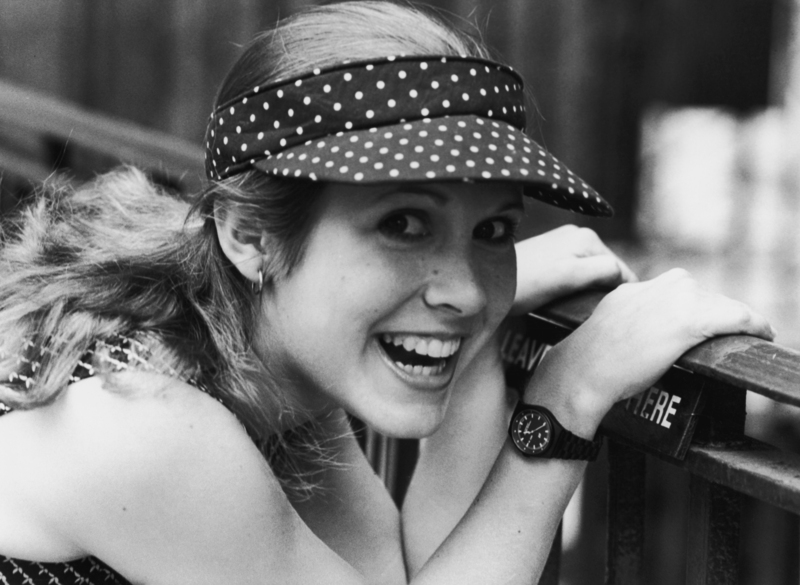 Though Carrie struggled throughout her life with addiction and mental illness, she maintained a sense of humor. 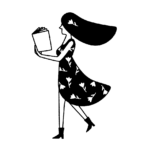 All of her books, Wishful Drinking, The Princess Diarist, Postcards from the Edge, and others have a biting humor that makes us want to both laugh and cry. If my life wasn't funny it would just be true and that is unacceptable. But that’s what Carrie was trying to teach us. She wanted us to laugh a little at life, because otherwise it might be too sad. 7When she refused to apologize for who she was, and encouraged us to do the same. Carrie did an interview with Rolling Stone in 1983, where she discussed her success. Carrie said, "And once it was proposed to me that it was all right to be like I am, I finally quit apologizing for it. For being something different. For being strong. Strength is a style." We definitely find ourselves apologizing way too much, but Carrie showed us a life without apology. She was outspoken, confident, strong, and hilarious, and that seems like a pretty awesome way to live. 8When she proved that an awesome pup is a badass princess’ best friend. Carrie brought her adorable, tongue-waggling French bulldog Gary with her almost everywhere she went. Carrie told the Harold Times, “Gary is mental also. My mother says Gary is a hooligan. Gary is like my heart. Gary is very devoted to me and that calms me down.” Clearly every badass lady needs a little unconditional love, so we should definitely get an adorable pet as a sidekick. 9When she never stopped striving to accomplish more, because a real princess never quits. Carrie accomplished so much in her life, but she was never done. Carrie continued to write and act. She was always trying to make herself better, because that’s what a awesome lady like her does. 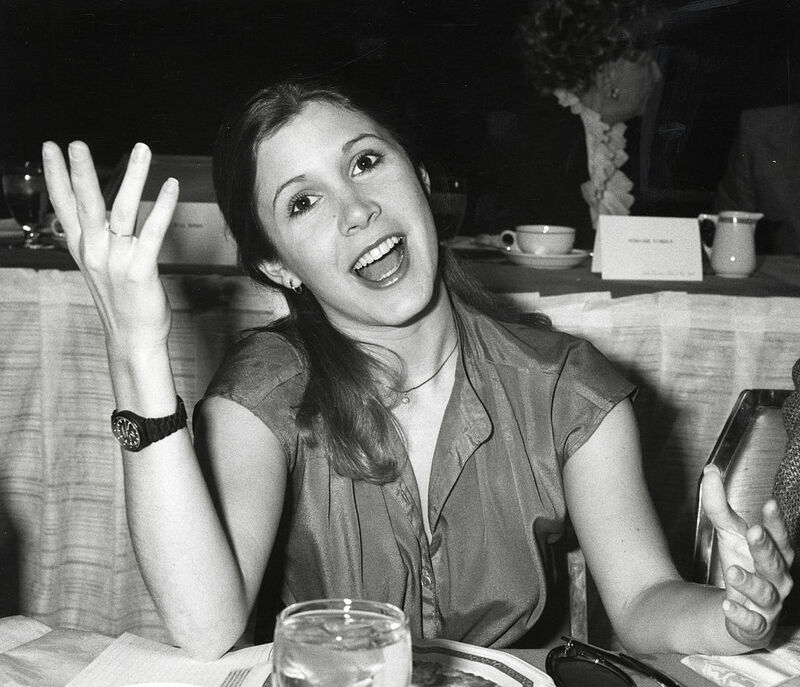 In Wishful Drinking, Carrie said, “There is no point at which you can say, ‘Well, I’m successful now. I might as well take a nap. '” Because there’s no rest for the high-achieving badass princess. And she inspires us to try harder and strive farther every day. We hope you rest in peace, Carrie. There will never be another badass princess quite like you.